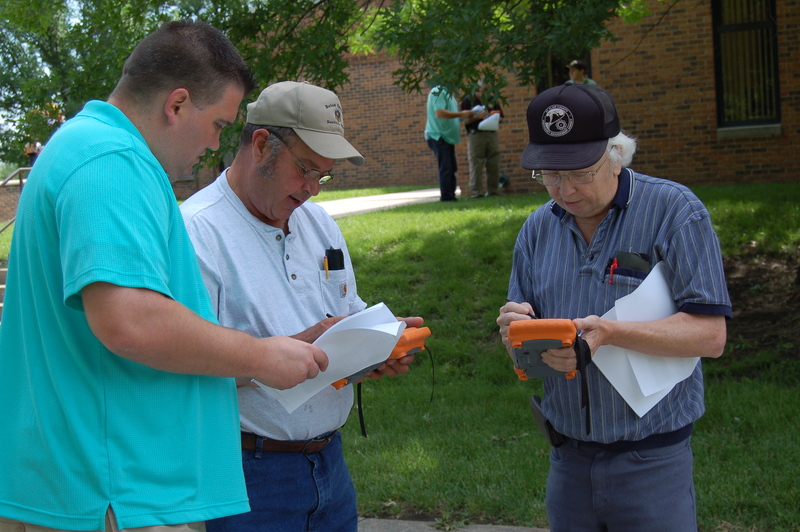 A few weeks ago, Adrian Welsh, our Applications Support Engineer, flew out to Pettis County, Missouri to train people there on how to use the Mesa® Rugged Notepad for their wide variety of needs. Amazingly enough, Pettis and the seven other nearby counties that attended the training obtained this fleet of Mesas for free. Yes, FREE. At least free to them, by means of a federal grant intended to assist local officials in Missouri with emergency preparedness and disaster management. When first selecting a grant submission, the county officials underwent a process of assessment and evaluation to identify critical resource/equipment needs in case of an emergency. From this, they identified rugged handheld computers as a critical need to help the counties prepare for and manage disasters. They then submitted a request for the Homeland Security Grant, available annually through the state’s Department of Public Safety, for funds to purchase the handhelds. The Mesa was selected as the rugged handheld of choice, and will be put to use in a number of different ways, mainly with Esri’s ArcPad and ArcGIS Mobile to map and collect data on assets and infrastructure. You can read more details about the grant that was received and how the Mesas will be used for disaster management here.